Done it? Seen the graffiti décor at SOHO City of Dreams. Do this instead! 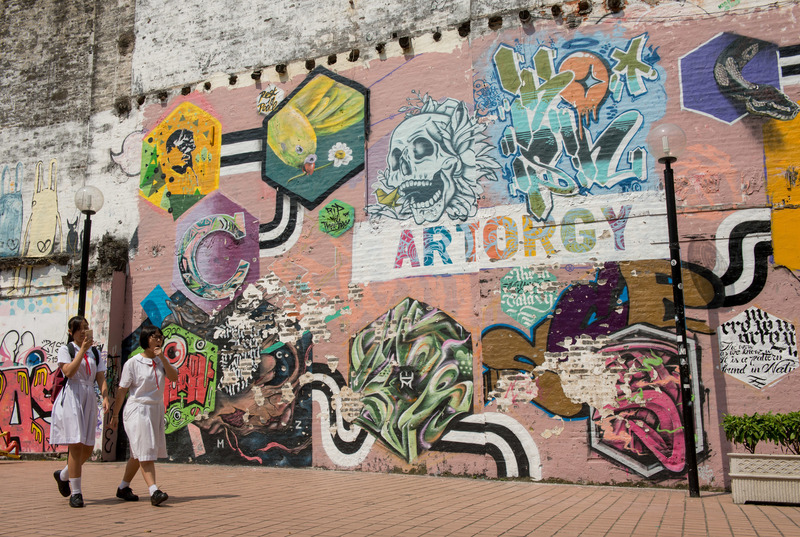 Visit Muse Graffiti Zone. Rua dos Mercadores (Merchants’ Street) is one of the main thoroughfares and shopping destinations in the city. It’s an interesting area, with a mix of architecture styles and new buildings under construction everywhere. 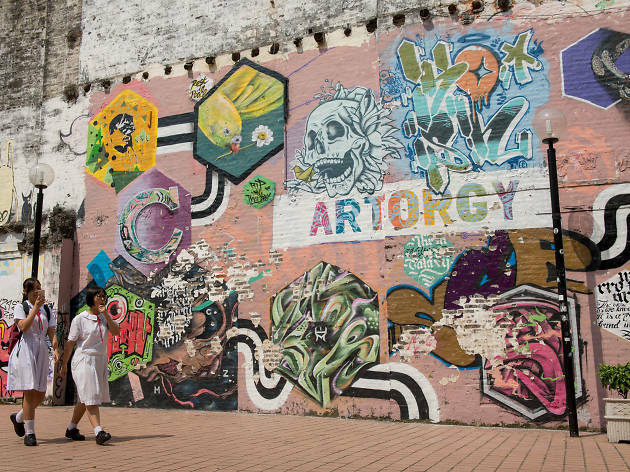 It’s fairly surprising, however, to find that in the back streets behind the pristine Senado Square you can find an unassuming but colourful concrete courtyard – this is the 1,200sq m Muse Graffiti Zone and is the only place it’s legal to do street art in Macau. 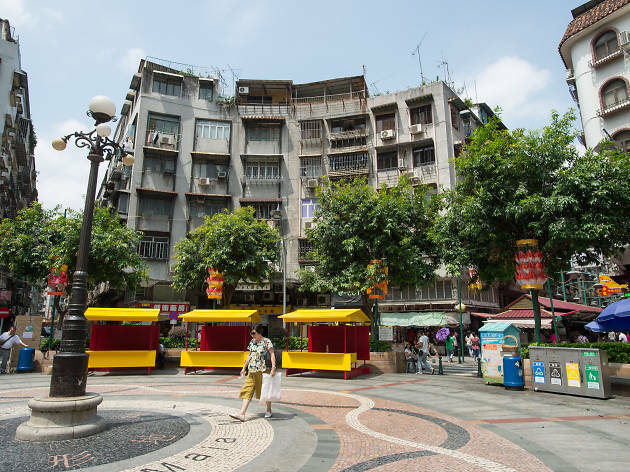 29 Rua dos Mercadores, Macau. Done it? The expansive Macau Museum of Art is great but has been open for years. Do this instead! 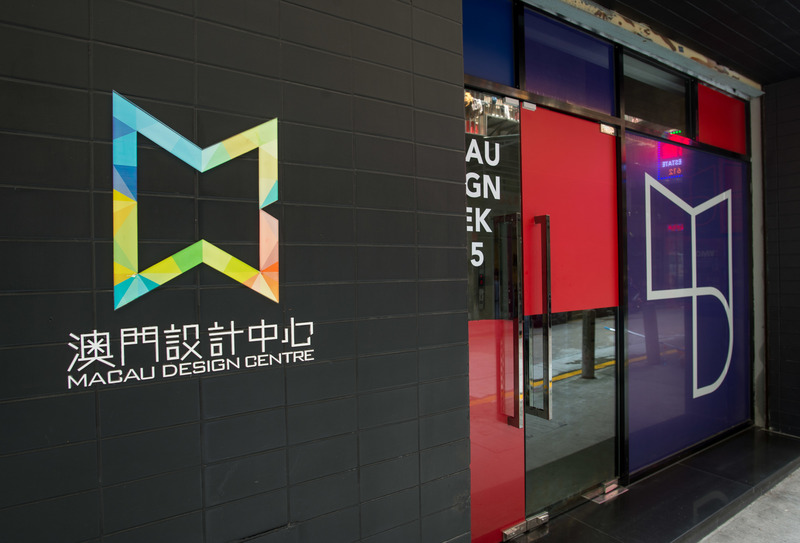 Get down to the brand new Macau Design Centre. 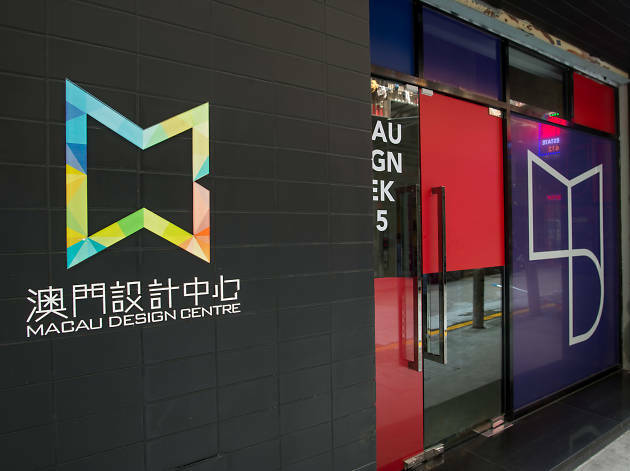 Located at Areia Preta in northern Macau, the innovative Macau Design Centre was restored from an abandoned historical factory. Only open since mid-August, it includes 17 studios with stores, a coffee shop, bookstore, rotating exhibitions and a rooftop garden. Currently showing an exhibition about architect Manuel Vincente, until October 10. 5 Travessa da Fabrica, Macau. Midday-8pm (Tue-Sun). +853 2852 0335; dcmacau.com. Free. Done it? Eaten at Lord Stow’s Bakery in Coloane. Do this instead! Visit Centre Café by Lord Stow’s Bakery. 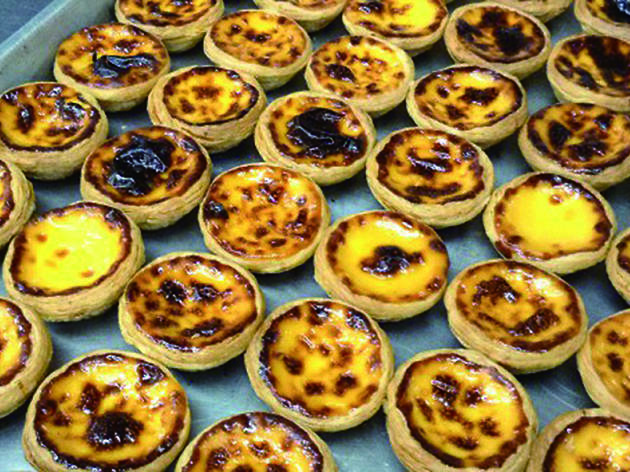 Everyone knows about the famous and delicious Portuguese eggs tarts at Lord Stow’s. Eating them is a valid Macau must-do, but don’t waste time waiting in line at the main Coloane outlet. 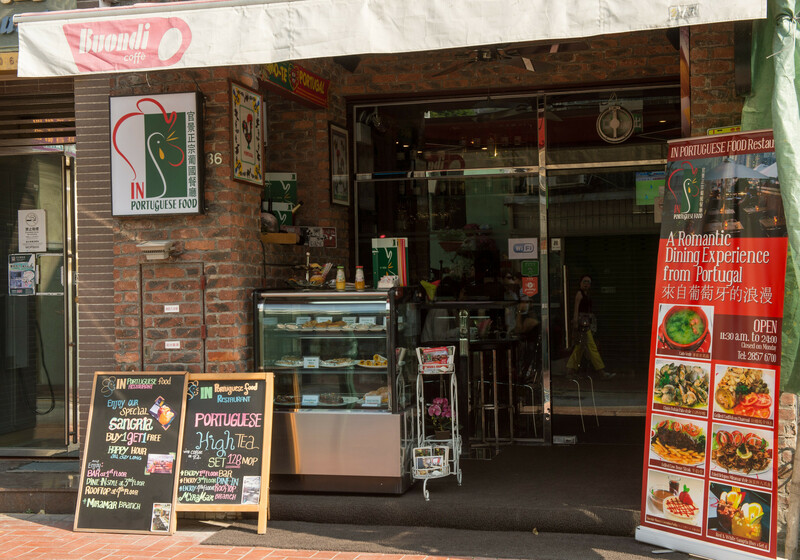 Avoid the queues at the popular original bakery with a stop at the Centre Café branch in Taipa. It serves the same tarts alongside hearty Western food, fresh DIY salads, sandwiches, pastries, cakes and coffee. LG2, University of Macau Town Centre, Av Padre Tomás Pereira, Taipa, +853 8397 8148. 8am-9pm (Mon-Fri), 8.30am-6pm (Sat and Sun). Done it? Senado Square is pretty, sure, but it’s printed on the 100 pataca note. That’s like, so mainstream. Do this instead! Check out Camões Garden. 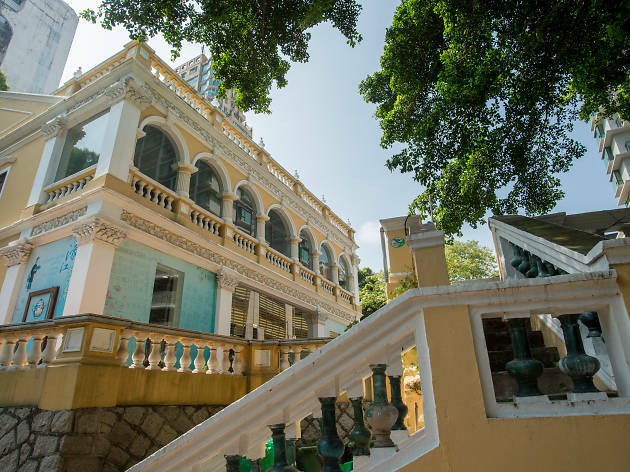 Macau’s oldest public park is perfect for people watching. Catch elderly Macanese walking their caged birds, doing their morning stretches and playing chess (not all at the same time). 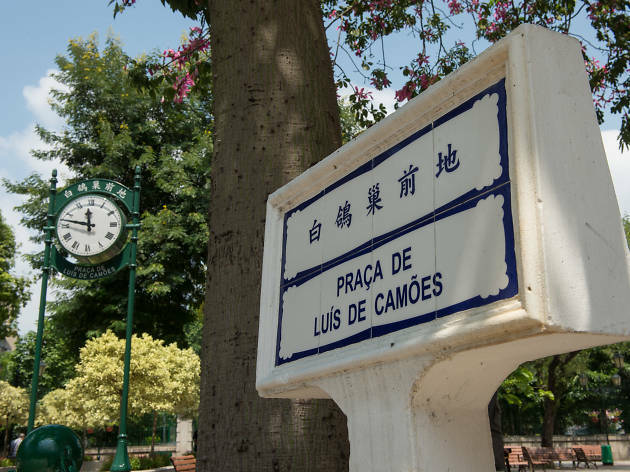 It’s named after one-eyed 16th century Portuguese poet Luís de Camões, and there’s a bronze bust of him at the park’s centre. The park is located on a mound known as Phoenix Hill, due to the stunning flame red Delonix regia trees that blossom in spring and summer. 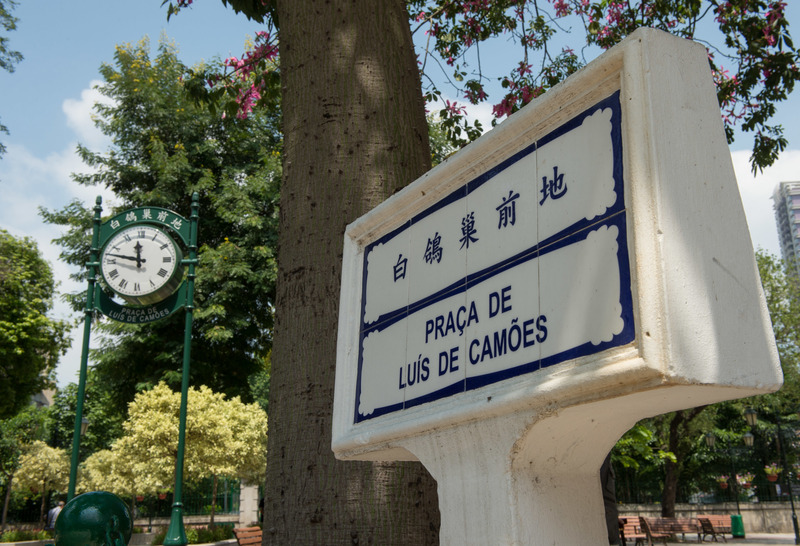 13 Praça Luís de Camões, Macau. 6am-10pm; free. Done it? Got your Instagram at the iconic Ruins of St Paul’s. Do this instead! 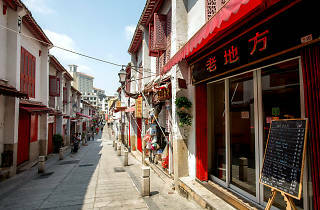 Walked Happiness Street (福隆新街). Ever wanted to recreate that scene in Skyfall where James Bond sails into the floating Macau Palace casino and Macau looks like the most badass place in the world? 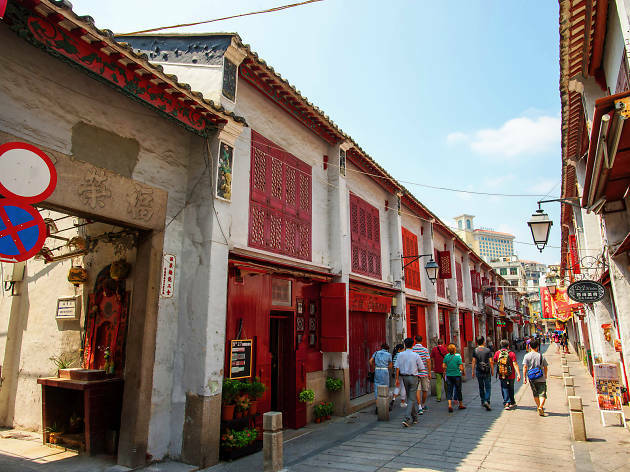 We can’t promise that, sadly, but the former Macanese red light district (known, funnily enough, as Happiness Street) is a small street still bursting with old charm. Its colourful wooden houses are well maintained and there are great restaurants and dessert houses to sample. Stay until the lanterns are lit at dusk for maximum old school feels and a great photo opp. Rua da Felicidade, Macau. Do this instead! Hit the Three Lamps District (三盞燈). If you head down to the historic Red Market three-storey wet market building, make sure you also check out the surrounding area, known for a single tri-bulb lamppost situated in the Rotunda de Carlos de Maia. (There are actually four lamps on it but we wont’ go on about it). 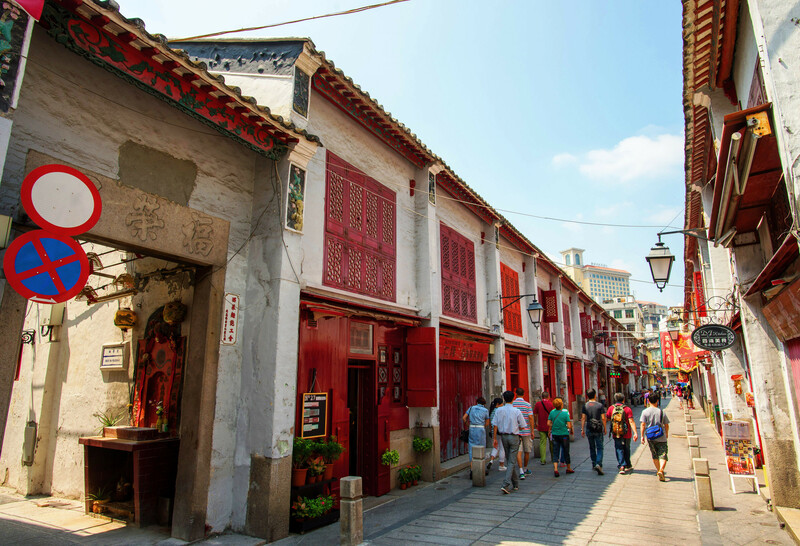 This area is by no means a tourist destination, but is definitely the best place to see how Macanese live. 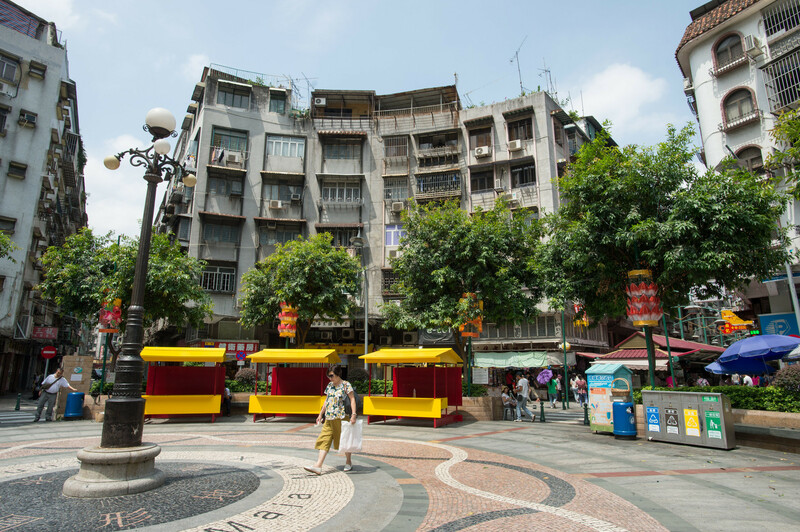 This lively and very Asian market district has fresh flowers, food, small boutiques and inexpensive clothes. Rotunda de Carlos da Maia, along Avenida de Horta e Costa, Macau. Done it? Ridden a pedicabs in downtown Macau. Discover Taipa by cycling! 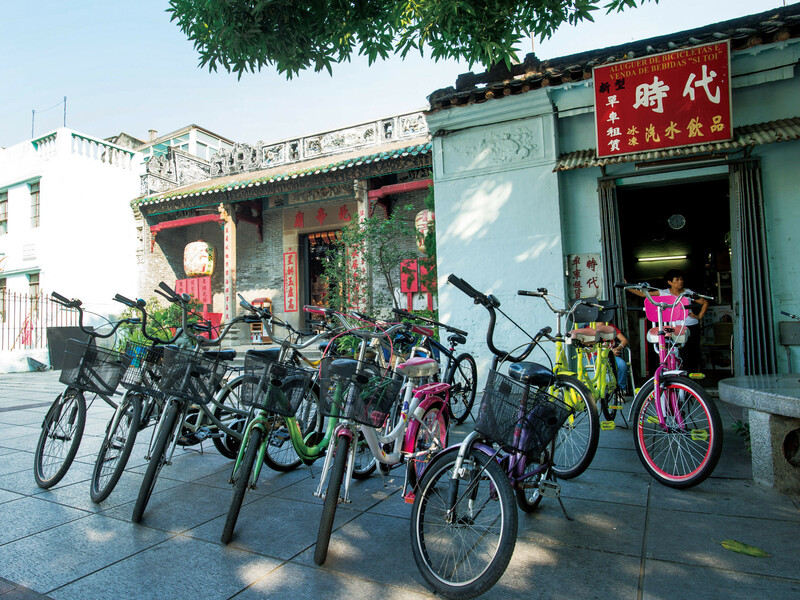 Around Taipa Village there are many cycle hire shops, with all sorts of bikes including tandems, child-friendly wheels and mountain bikes. If you’re not sure where to explore, try the new cycling path by Taipa Waterfront. The path is open 24 hours, totally separated from traffic and is perfect for packing a picnic and enjoying the evening light. You can rent bikes here for a fraction of the price that a pedicab will charge. Av dos Jogos da Ásia Oriental, Taipa, +853 2833 7676; iacm.gov.mo. Bicycle rental 2pm-7pm (Mon-Fri), 9am-7pm (Sat, Sun and public holidays). MOP10 (child) MOP20 (adult) per hour with a MOP500 deposit. Done it? A Lorcha – good Portuguese food, but listed in every tourist guide going. Do this instead! IN Portuguese Food. A relatively recent addition to the city’s food scene, this rooftop Portuguese restaurant and bar has a fantastic view of the old Taipa Village. If you buy one jar of sangria you get another free, which is reason enough to come on its own. The restaurant is also gaining a rep for its delicious clams with cream sauce and shrimp with garlic. If you’re not hungry, we still recommend buying a coffee or some of their pastries just to watch the sunset. 86 Rua Correia da Silva. 11.30am-midnight (Tue-Sun); +853 2857 6700. Done it? Checked out A-Ma Temple. Do this instead! 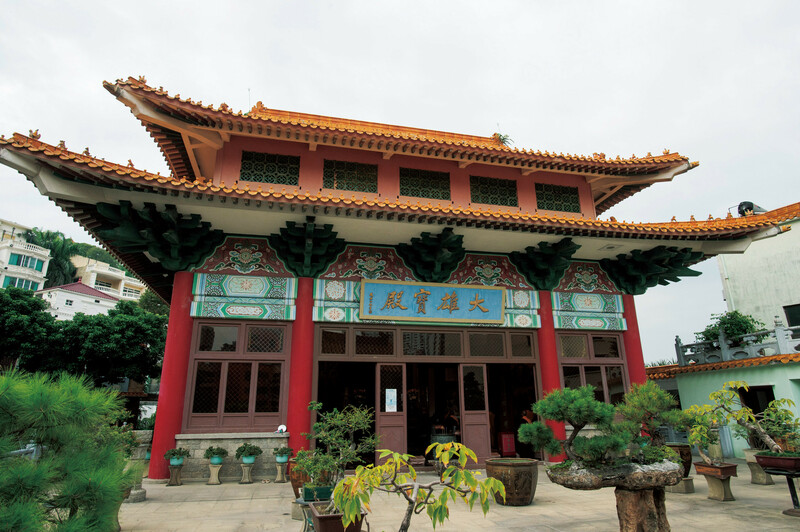 See Pou Tai Monastery and Pou Tai Un Temple. This amazing temple was founded in the 19th century by Buddhist monks and it features three valuable Buddha statues, including a gorgeous carved, wooden Buddha. 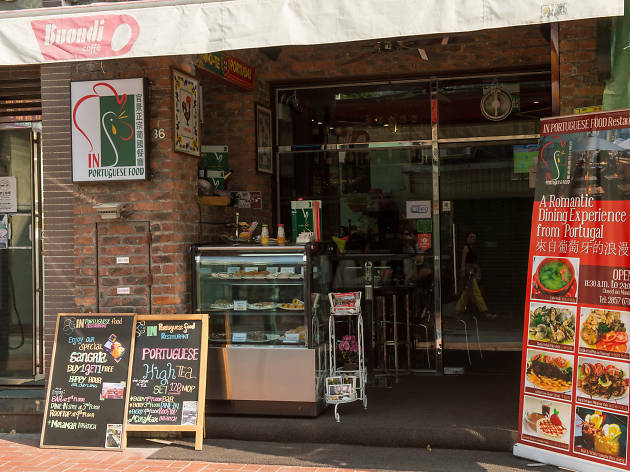 In addition, on the ground floor there is a vegetarian veranda café that opened at the end of 2014. The café is operated by the monks who live there, with some of the produce coming direct from the vegetable garden located in the monks’ grounds. 5-5B Estrada Lou Lim Leok, Taipa. 9am-6pm (daily), +853 2881 1007. Free. Done it? Sampled high tea at the Mandarin Oriental. Sure it’s tasty but same same, lah. Do this instead! 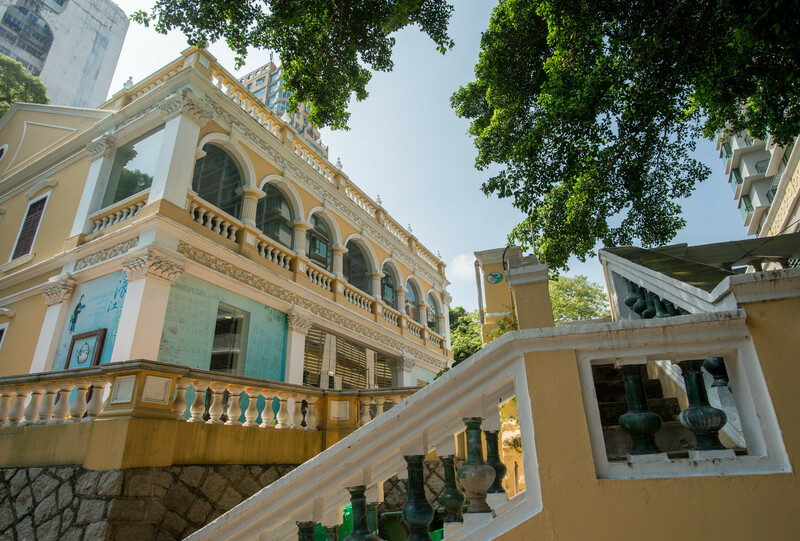 Sip a brew at the Macau Tea Culture House. 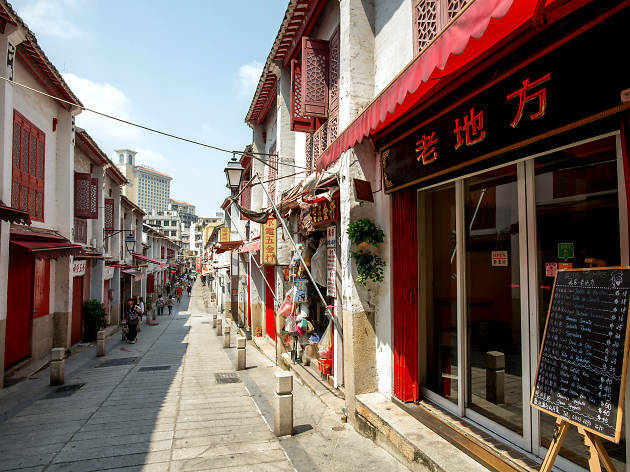 In the area close to St. Anthony’s Church on the Macau peninsula, you can find lots of interesting traditional teahouses to sample try some Chinese teas. 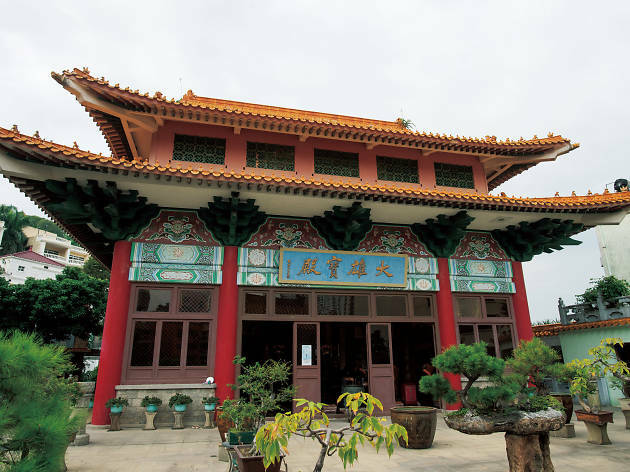 But if you want to learn about the special Chinese tea ceremony then visit The Macau Tea Culture House. 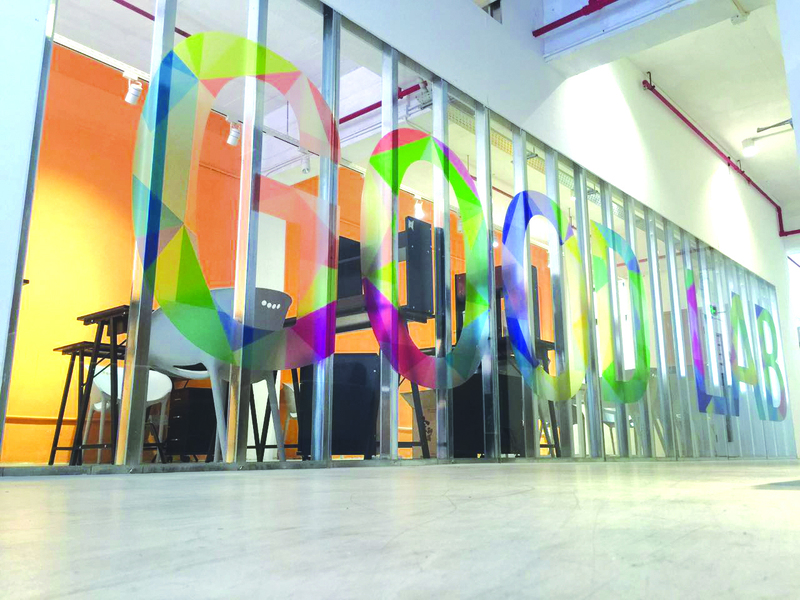 Opened in 2005 at the stunning the Lou Lim Ieoc Garden, it’s the first ‘tea museum’ in the city. Lou Lim Ioc Garden, Avenida do Conselheiro Ferreira de Almeida, Macau. 9am-7pm (Tue-Sun), +853 2882 7103. Free. Discover our neighbouring SAR’s burgeoning creative scene.